What I will say I loved the most about the book is how she thinks ahead of having the two main characters come together, Julia Bernay and Michael Stephenson. It focuses on Julia's trials and triumphs in becoming a doctor, which she thinks her desire is to be a missionary to Africa giving her life to being a doctor there. 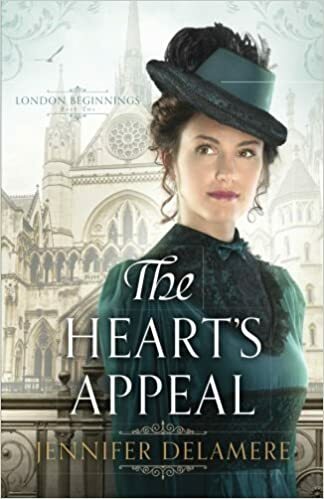 Michael is in the position of helping his sister Corinna Stephenson Barker rise up in Victorian England in obtaining a higher position than she has with her husband David Barker. As I said there are plenty of twists and turns within the book and while I feel I don't want to ruin the book, it can safely be said Jennifer does a great job weaving together a story with all the lines she has drawn over the course of the book. It truly is a great read and I suggest getting a copy and reading it. Before you do so, however, I think it would be wise to obtain Jennifer Delamere's first book in the series, The Captain's Daughter, and start there. Bethany House Publishers sent me a complimentary copy for an honest review of Jennifer Delamere's latest work. All opinions are mine.